Shares of Britannia Industries were trading higher as the company replaced HPCL in the Nifty50 today. Equity benchmark indices were trading in the positive zone on Friday's noon session. HDFC Bank, L&T, Maruti, Infosys, and Hindustan Lever lent support to the index, while the scrips of ITC, Axis Bank, IndusInd Bank, ICICI Bank, and TCS were dragging it down. On the sectoral specific, the metals index was the biggest gainer followed by power, auto, healthcare and basic materials indices on the BSE. 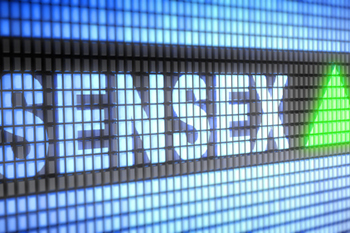 The Sensex was up 56 points at 38,601 levels, and the Nifty50 index rose 23 points at 11,593 levels. Meanwhile, the Nifty FMCG index was trading higher with shares of United Spirits up 4%. Shares of Tata Global, Marico, and HUL were also trading higher 2% each, followed by UBL, Emami, Britannia, and Procter & Gamble. Shares of Britannia Industries were trading higher as the company replaced HPCL in the Nifty50 today. On the flip side, ITC, Dabur, Godrej Consumer, and Jubilant Food were trading in the negative zone. Today’s top gainers among the Nifty constituents were Vedanta, Tata Motors, Tata Steel, and Indiabulls HF. The top losers were GAIL, IndusInd Bank, and Bajaj Auto. Future Lifestyle Fashions, DCB Bank, IDFC First Bank, Mahanagar Gas, Muthoot Finance, Oriental Bank of Commerce, Varun Beverages, RBL Bank, Godfrey Phillips, Adani Gas, Havells India, Petronet LNG, and Power Finance Corporation have a hit 52-week high on NSE in today's session.